Spin Art is not only fun, but provides a take-home keepsake for your guests. 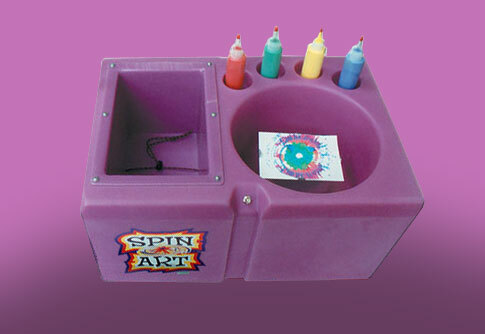 Place a card in the machine, squeeze in the paint and watch it swirl around to create a unique work of art. Each spin art is complimented with a frame to complete the project and to make it ready for display. For something extra special, Spin Art can be done on Frisbees, too!